After the death of Mayor Will Rogers in April, Vice-Mayor Emily Gabel-Luddy stepped in to finish the term. On Tuesday, May 1, at the annual Council Reorganization meeting, she was voted in unanimously by her fellow Council members as Mayor for the coming year. Sharon Springer was nominated by Jess Talamantes to assume the roll of Vice-Mayor and was also voted in unanimously. 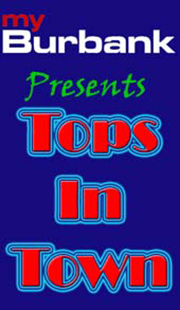 This is the first time that two woman have been named to the top two spots at the same time. 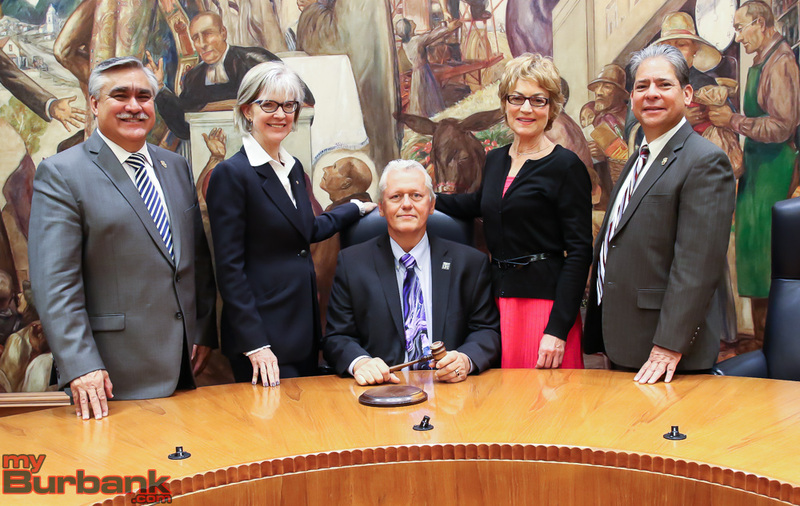 Burbank’s Mayor is a position rotated to different Council Members each year when they meet on May 1 to reorganize. The position of Mayor is mostly just ceremonial and is basically the face of the council at community functions and chairs council meetings. The Mayor will, however, set the tone at those meetings. Gabel-Luddy was first elected to the council in 2011. According to her bio by the City of Burbank, she “was born in Los Angeles and raised in the communities of El Sereno and Glassell Park where she attended public schools. A graduate of Occidental College, she earned a Masters in Landscape Architecture from the University of Massachusetts. She began her career working for local government as a landscape professional designing small parks. After two years, she joined the Planning Department in the City of Los Angeles where she gained more than 30 years practical experience working with diverse communities to address a full range of planning and land use issues. 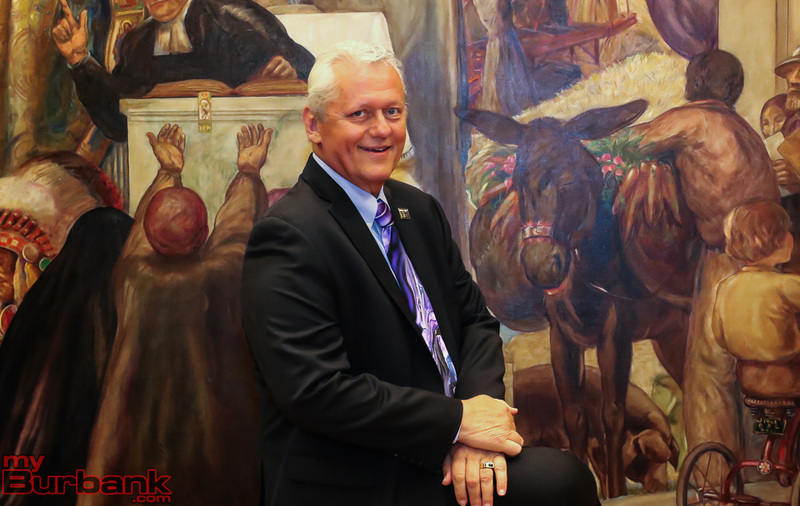 During the meeting, former Mayor Will Rogers, who lost his battle to cancer a few weeks ago, was remembered by the Council, staff, and representatives of different elected officials who came to speak. The meeting was adjourned in Roger name. First up for the Council will be to name a new member to take over for Rogers remaining term that will end in 2019 and what may be a very contentious budget battle. This entry was posted in News and tagged Burbank City Council on May 2, 2018 by Staff. 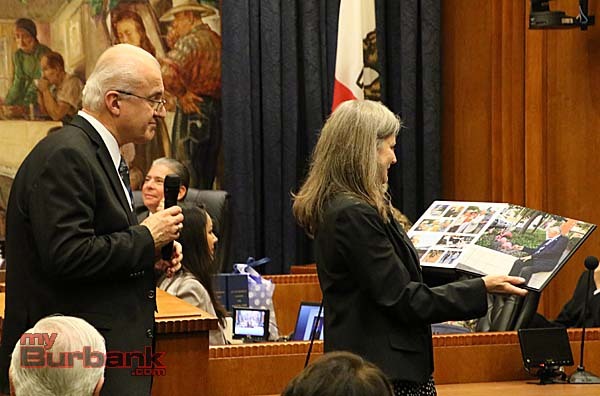 On April 24, the Burbank City Council established the process to fill the City Council seat vacated by the recent passing of Mayor Will Rogers. The vacated term currently expires on May 1, 2019. Under the City Charter, the Council has 30 days from the occurrence of the vacancy to fill the Council seat. The following dates were established by the City Council to execute the appointment process. Must be a Burbank resident for at least 29 days prior to applying for position. Must be a registered voter within the City of Burbank at the time the application is issued. Applications will be available online at www.burbankca.gov/vacancy and in the City Clerk’s Office located in City Hall at 275 E. Olive Avenue, First Floor. Beginning at the Special Meeting scheduled for Thursday, May 10 at 5:00 p.m., each qualified applicant will be asked to make a three-minute presentation to the City Council. The applicants may then be asked to respond to questions from the Council regarding their presentation or application. Should additional time be needed to complete the interviews, the City Council may elect to continue the interviews on Monday, May 14 beginning at 5:00 p.m. The order in which the applicants will make their presentations will be determined by a random draw of the applicants’ names prior to the meeting. The position is part-time with compensation of $1,289.99 per month, plus benefits. Those applying are encouraged to set up individuals meetings with existing Councilmembers by calling (818) 238­5751. For additional information and questions, please contact the City Clerk’s Office at (818) 238-5851. This entry was posted in City of Burbank, News and tagged Burbank City Council on April 25, 2018 by Staff. 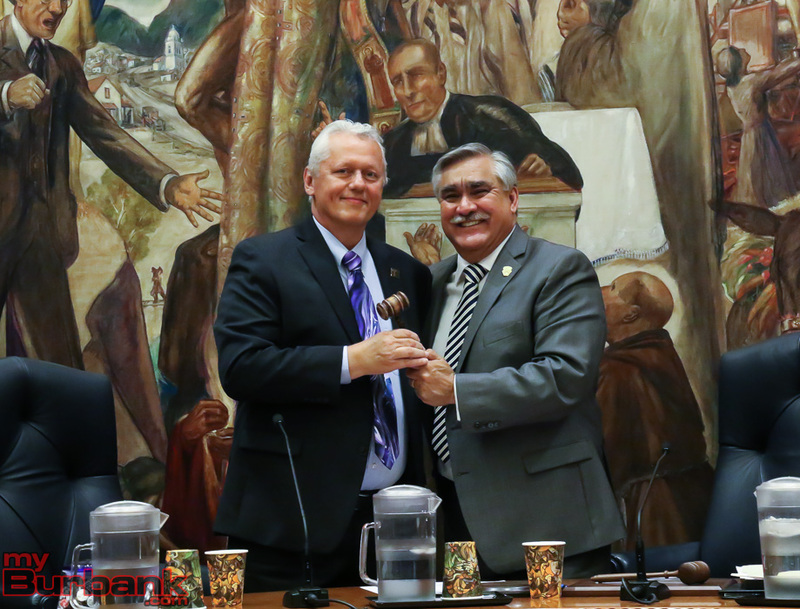 Burbank’s City Council will have a tough Tuesday ahead. Besides mourning for Will Rogers, who lost his battle to cancer last Thursday, the Council will take up naming a replacement. Vice-Mayor Emily Gabel-Luddy will now assume the duties of Mayor for the remainder of the term which expires May 1, at which time the Council will hold a special reorganization meeting where it will be fully expected for her to officially be voted in to take on the role of Mayor for the coming year. According to a press release issued by the Public Information Office, “Under the City Charter, the Council has 30 days from the occurrence of the vacancy to fill the Council seat; and if it fails to do so, then the vacancy shall be filled by the Mayor with his or her selection. The Council needs to select an appointment procedure to fill this vacancy. Neither the Charter nor the BMC prescribe any selection process. The Council may wish to consider using the appointment process employed in the past to fill vacant elected positions such as done for filling Mr. Kramer’s seat, as well as the City Clerk and City Treasurer in 2012. If the City Council selects this method during the April 24 Council meeting, the City Clerk’s Office and PIO could start advertising the position immediately through the City’s web page, social media, press releases, newspaper ads and other appropriate methods. Given the thirty-day requirement, staff recommends that applications be due by noon on Monday, May 7. A Special Council meeting to hold interviews can be scheduled for Thursday, May 10 with Council making an appointment that evening. If, however, the Council needs more time to appoint a candidate another Special Council Meeting can be called for May 17. 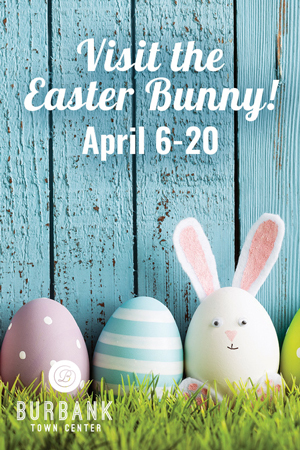 Whether the appointment is made on May 10 or May 17, staff recommends that a formal swearing-in take place at the May 22 City Council meeting. Staff is referring to Bob Kramer, who resigned from the Council in February 2002 so that he could take a position with the City. The City Clerk and Treasurer both resigned in 2012 and were replaced using the formula from above for the unexpired terms that lasted for about a year. (a) A vacancy in the office of Council Member from whatever cause shall be filled by appointment by the Council, such appointee to hold office until the next regularly scheduled municipal election; provided that if the Council fails to agree or for any other reason does not fill such vacancy within thirty (30) days after the same occurs, then such vacancy shall be filled by the Mayor. Should a vacancy occur after the opening of the filing period for election to the office of Council Member, or within thirty (30) days before the beginning of such filing period, then the appointee shall hold office until the regularly scheduled election next following the one for which the filing period is called. Should the appointment be for an unexpired term which has two or more years remaining when the next regularly scheduled election occurs, then the candidate elected who receives the lesser number of votes, shall be deemed elected to the remaining term for which the appointment was made. (b) If the seats of a majority of the Council shall become vacant, then the City Clerk shall call a special election at once to fill the vacancies for the unexpired terms and the same shall be conducted substantially in the manner provided for General Municipal Elections, and the candidates receiving the greatest number of votes, equal to the number of vacancies, shall be deemed elected. Since the opening comes with a year to go on the term, the City Council will be in charge of picking replacement. If the opening had come with over two years remaining, Dr. David Gordon would have returned to the Council since he had come in third place in the last election. 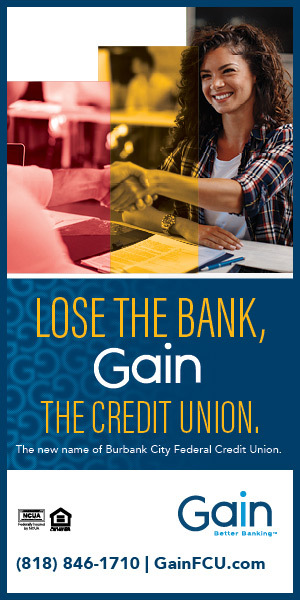 If the Council as predicted decides to take applications, any Burbank registered voter who has resided in the City for at least 29 days will be eligible to apply. This entry was posted in City of Burbank, News and tagged Burbank City Council on April 21, 2018 by Craig Sherwood. Mayor Rogers’ Celebration of Life will be on Monday, April 23 at 2:30 pm at The Castaway. 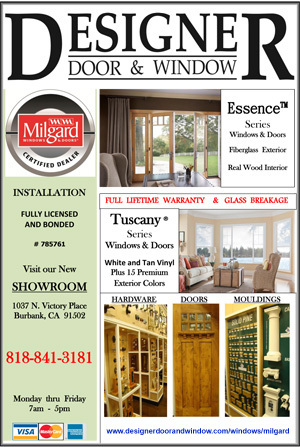 Will was elected to the Burbank City Council in 2015 running on a platform of transparency and community involvement. He was named Mayor by his colleagues in 2017. Will took his duties with the City of Burbank very seriously, though he brought a sense of humor to the meetings, building a strong sense of comradery. 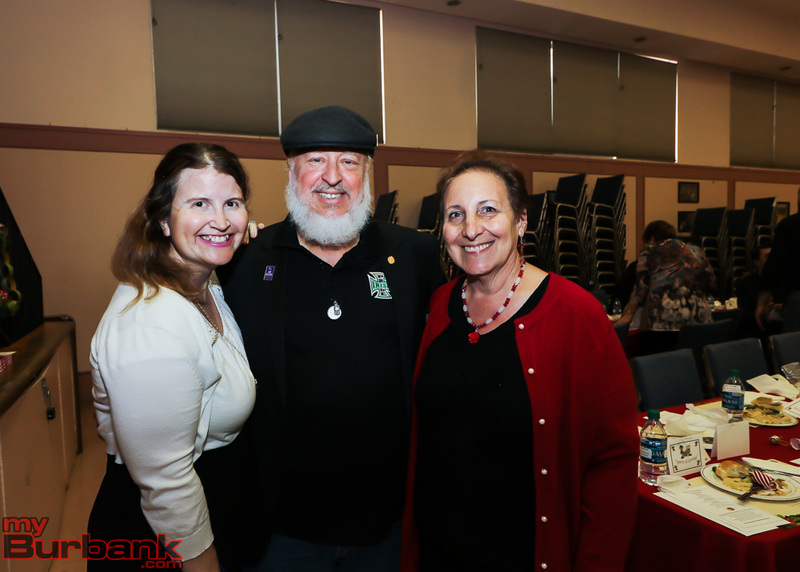 Will was recently honored with the 2018 Burbank Top Award for Citizenship by the BTAC. This award exemplifies the very essence of Will Rogers – who spent his life fighting for the needs of others, whether through writing investigative columns, volunteering or his many personal acts of kindness. Will purchased many items he didn’t need at silent auctions and was happy to attend any function where he could be of service to someone. Will Rogers was known for his dedication to the service of others, philanthropy, and clever writing skills, but family was his first priority. His family will miss his sharp wit, biting sarcasm and deep devotion. Will Rogers was a much beloved husband, daddy, brother, uncle and great uncle. Will was proceeded in death by his mother, JoAnne Rogers, Father Kenneth Wege, brother Stephen Wege, niece Susan Heberle and much-loved dogs Lucy and Guinness. He is survived by his wife of nearly 30 years Nancie, children Stephen (& Hailey) and Sarah. In Lieu of flowers donations may be made to BTAC or Boys & Girls Club of East Valley and Burbank. A Celebration of Life will be Monday, April 23 beginning at 2:30 PM at The Castaway in Burbank, CA. This entry was posted in News, Obituaries and tagged Burbank City Council, City of Burbank, Will Rogers on April 21, 2018 by Craig Sherwood. 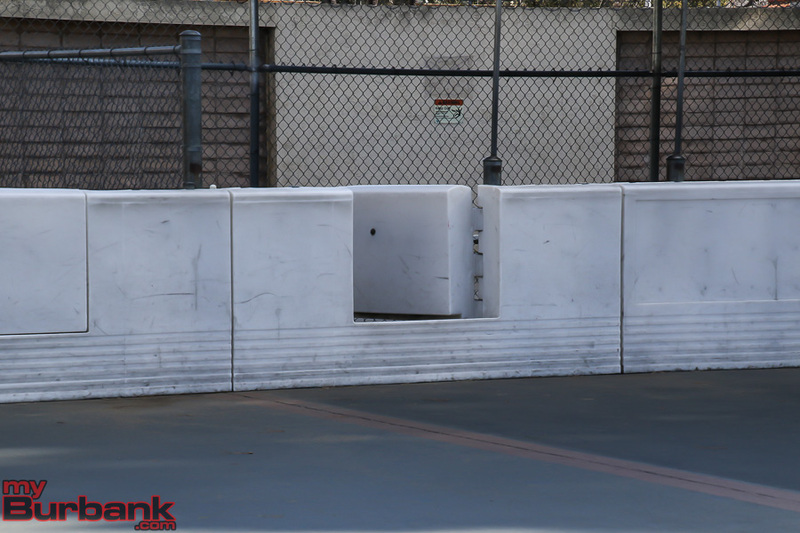 Last weekend, Los Angeles Kings Burbank Sports Center at Ralph Foy Park was vandalized with oil poured at the center of the roller rink. Several doors had also been cut off its hinges with a saw. The vandalism comes days before the rink is set to reopen under a new operator on February 1. Gwen Sam-Indermill, Parks and Recreation services manager, was the first to see the damage, arriving at the park around 9 a.m. on Monday morning. 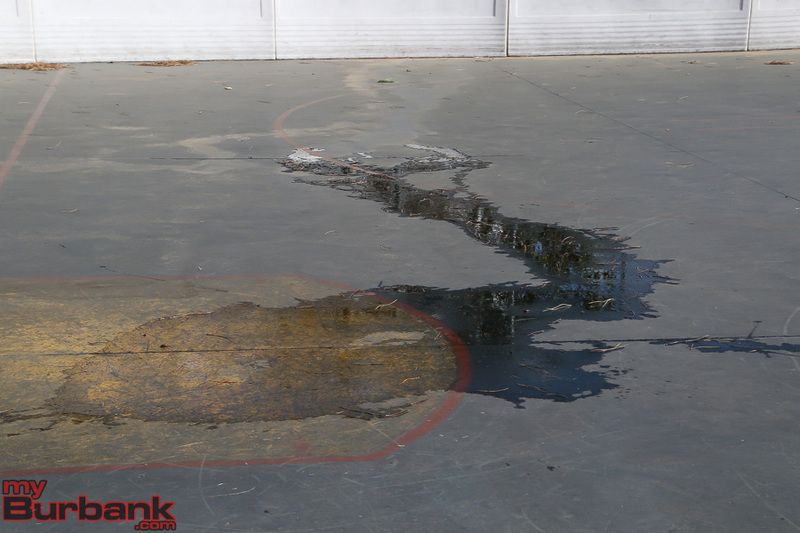 “There was what appeared to be motor oil, poured on several locations on the surface of the rink. 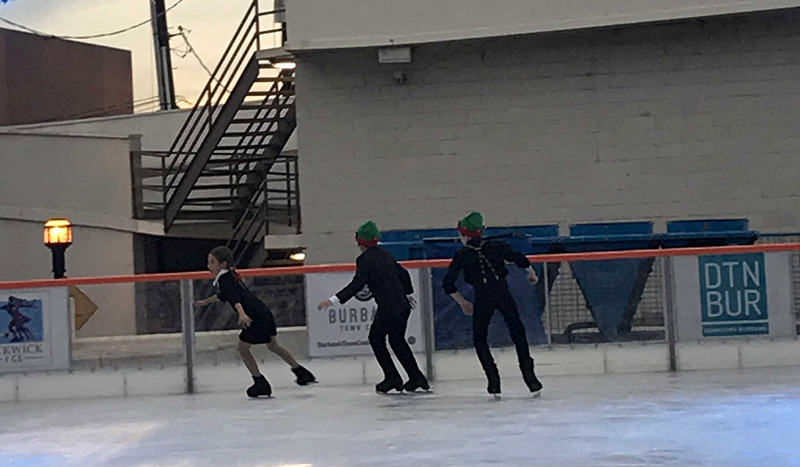 There was also broken glass on the surface of the rink,” said Sam-Indermill. A meet and greet which is scheduled for Saturday, February 3 at 12 p.m. will go on as planned. 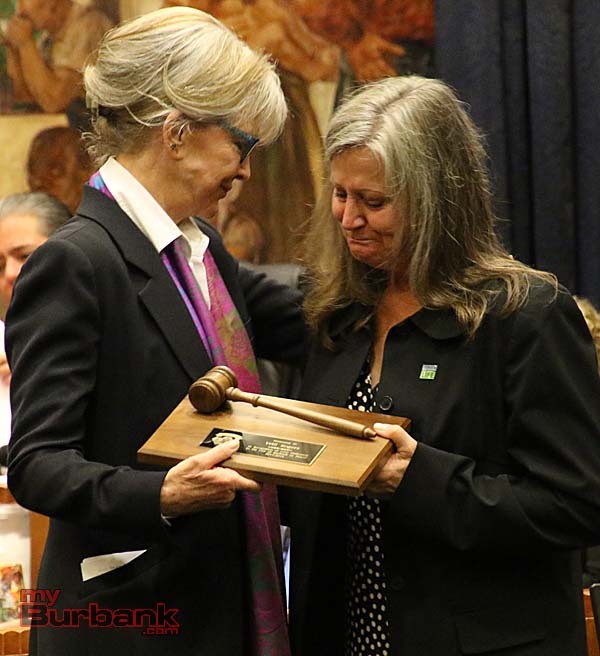 In December, Burbank City Council voted for a five-year agreement that would permit P.I.M. 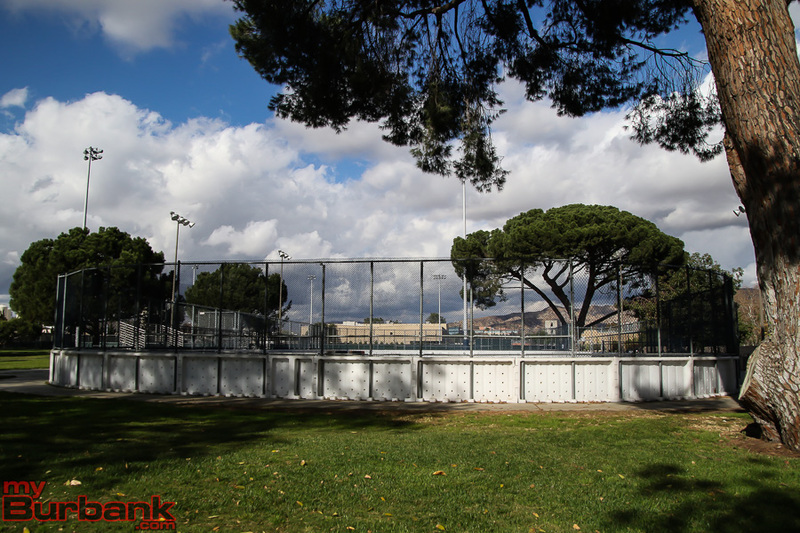 Inc. to take over and renovate the roller rink, formally known as the “Burbank Roller Hockey Facility.” P.I.M. Inc. also owns Los Angeles Kings Valley Ice Center located in Pacoima. This decision caused controversy within the community as former rink owner Frank Dalessandro was given a 30-day notice that he would no longer be managing the facility. Many who regularly played at the rink were upset over Dalessandro’s departure and the changes that would be implemented. Several people online are assuming the controversy over new management contributed to the vandal’s motives which are still unknown. 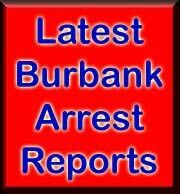 Parks and Recreation and Burbank Police are investigating the case. Anyone who has information on the vandalism is asked to contact the BPD. Los Angeles Kings Burbank Sports Center is located at 3211 W Victory Blvd. This entry was posted in City of Burbank, Crime, News, Parks & Recreation, Police and Fire and tagged BPD, Burbank City Council, Burbank Police Department, Frank Dalessandro, Los Angeles Kings Burbank Sports Center, parks and rec, parks and recreation, vandalism on January 27, 2018 by Timothy Mably. The first hearing was on a staff-proposed change to the Municipal Code that would restrict growing Marijuana growing to indoors along with a ban on retail sales. After much public content supporting fewer restrictions and being able to grow outside, the Council voted 5-0 to adopt the ordinance however they changed it to allow outdoor growing as long as the conditions of State Law were met. While at this time there is a ban regarding the retail outlets, the Council did seem that they wanted to open the door regarding retail sales in the future. Councilwoman Sharon Springer said that she checked the results from the Prop. 64 election results and said that 61% of voters in Burbank voted to approve legalized Marijuana in California. While no path has been set up yet to allow retail stores in Burbank, there was strong support to set up a task force or committee to study the best way to start the process however no timeline was given when this process might begin. The second hearing of the night was the changing of the zoning in the Rancho District for an amendment to the General Plan land use designation of a 4.7 -acre property from Rancho Commercial (RC) to Low-Density Residential (LDR) to develop 34 single-family homes. The property is located in the Rancho Master Plan Area, south of Riverside Drive near the Mariposa Street Bridge. The developer had wanted to put 34 homes into the area but Rancho residents came out by the dozens to protest during the hearing. While the Council was not allowed to consider the development itself, or what a re-zoning would mean when the Pickwick property came up at a later date, they were told it was solely to change the zoning on that particular project. In the end, the Council voted 3 to 2 (Councilmembers Springer and Rogers were in support) to not re-zone the area in question. This entry was posted in City of Burbank, News and tagged Burbank City Council, City of Burbank, marijuana, Rancho District on November 8, 2017 by Craig Sherwood. 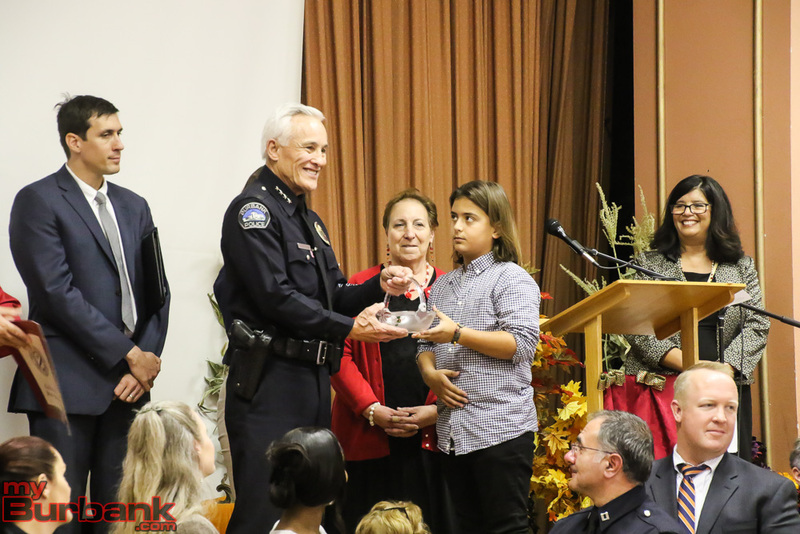 On the morning of November 3, the Burbank Coordinating Council hosted their second annual luncheon at Burbank Presbyterian Church, in which City Councilman Bob Frutos was honored along with the Burbank Police Department. During the luncheon, funds were collected for holiday baskets to donate to needy families. Last year, they collected enough to donate over 500 baskets, and they hope to give even more this Christmas season. “The selfless efforts and generosity of the honorees give us an outstanding example of the spirit of generosity that made America strong — and that continues to thrive in Burbank,” said Marsha Ramos, MC for the event. 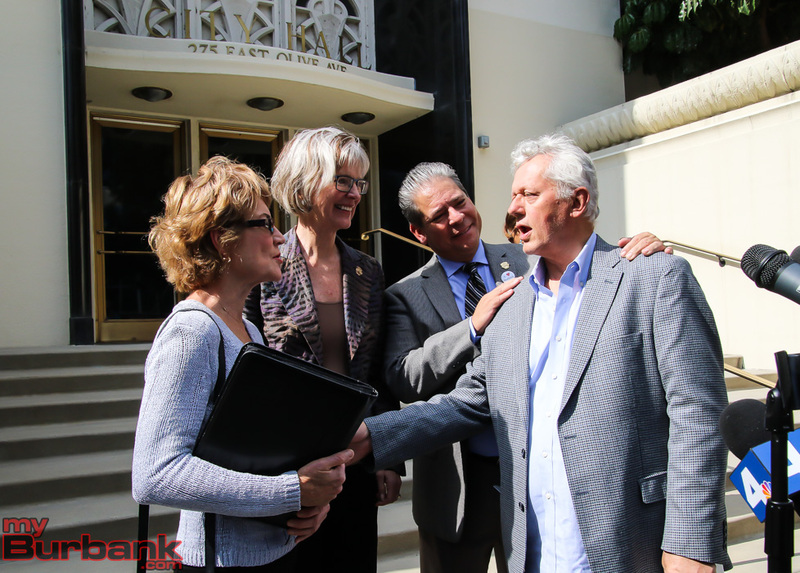 Councilman Frutos, a Burbank resident of 25 years, has dedicated his life to public service. Beginning at a young age as a police cadet and later becoming a police community liaison officer, he continues in retirement to serve as a reserve officer. 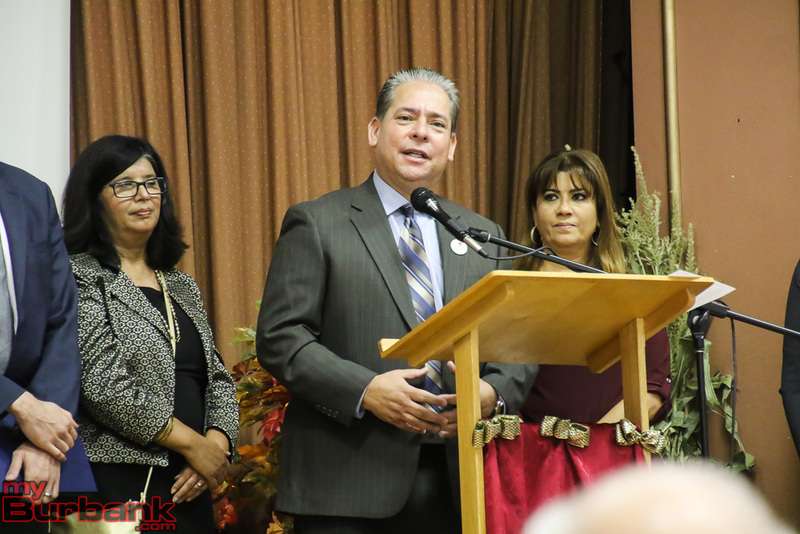 Frutos has been on the Burbank City Council for six years, serving one year as mayor. “He is a generous spirit that stands out, he attracts good, inspires many and seeks to unite us. 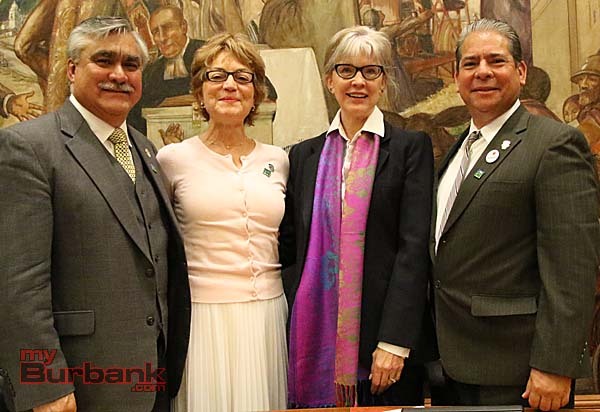 He generously offers his time, talent and treasure in support of many worthy causes such as youth and senior services, our public schools, and many community-based organizations and charitable efforts here in Burbank,” said Ramos. Councilman Frutos was awarded the “Spirit of Giving Award” by the Khalifeh family, on behalf of the BCC. He then said a few words, humbly thanking the community. The BPD also received the same award this year. 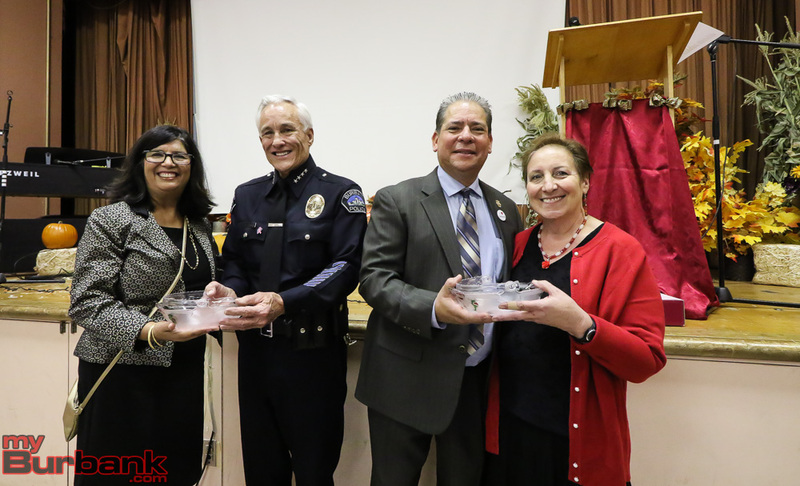 Following the BCC’s recognition of Frutos’ life-long communal service, Ramos spoke about the police department’s positive impact on Burbank residents. Throughout the year, the BPD is involved with several programs to grow in their interactions with the community. Around Christmastime, officers make phone calls to schedule holiday basket deliveries, collecting food among other gifts, and giving the baskets to families in-person. 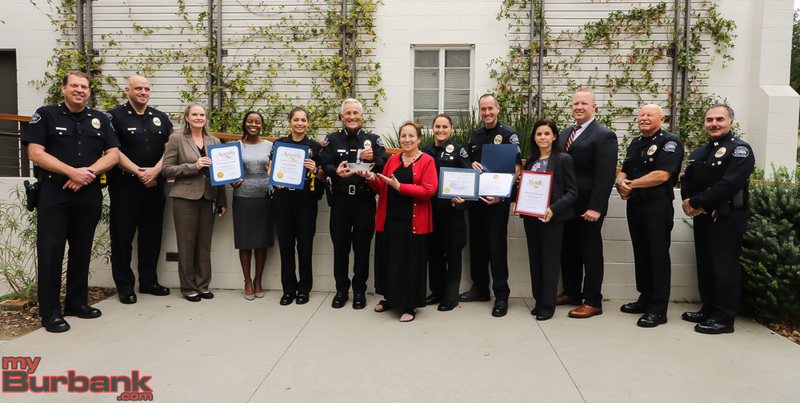 For 22 years, they have also participated in “Operation Chill,” a program that rewards kids with free 7-11 Slurpee coupons for good behavior and abiding by the law. Over 19 million coupons have been given out since the program began. Ramos listed several other communal activities the BPD have put on, including “Shop With A Cop” and “Coffee With A Cop,” both allowing residents to spend time and have conversations with local law enforcement. During this time of year, officers partner with the Salvation Army to provide Thanksgiving Meals to families who can’t afford to celebrate on their own. BPD has also raised funds for the Boys & Girls Club, Arts for All, and the National Police Officers Memorial. “It has been said that a hero is someone who is selfless, who is generous in spirit, who gives as much as possible to help people. The men and women of The BPD fit the description, an exact match for this definition of a hero,” said Ramos. 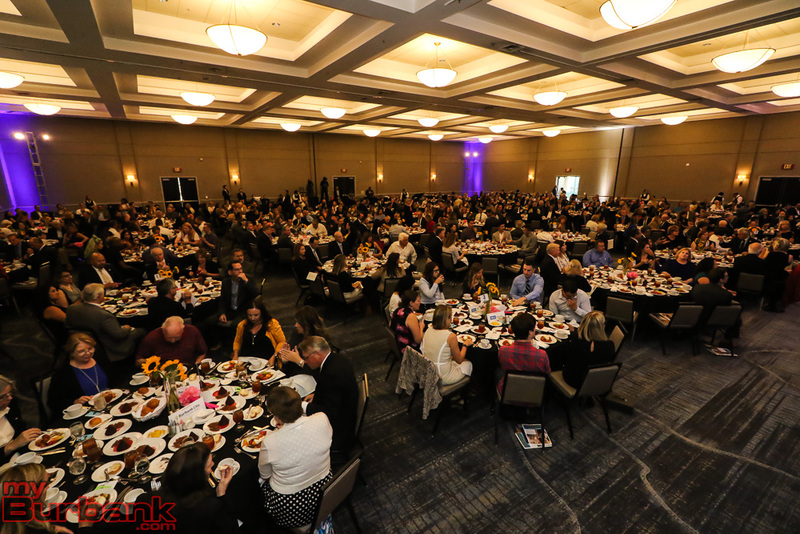 A few of the sponsors who helped put on the luncheon include Capes4Cures, Cartoon Network, Burbank Water and Power, Burbank Federal Credit Union, and Handy Market. 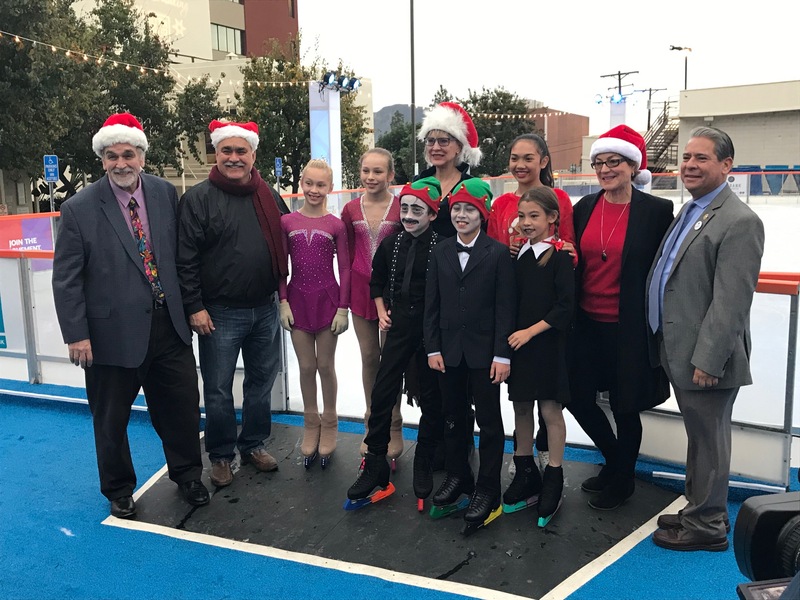 This entry was posted in City of Burbank, Featured, News, Police and tagged Burbank City Council, Burbank Coordinating Council, Burbank Police Department, charity, Christmas, coffee with a cop, Councilman Bob Frutos, Donation, fundraiser, holiday basket, Marsha Ramos, Shop with a cop, Spirit of Giving on November 8, 2017 by Timothy Mably. 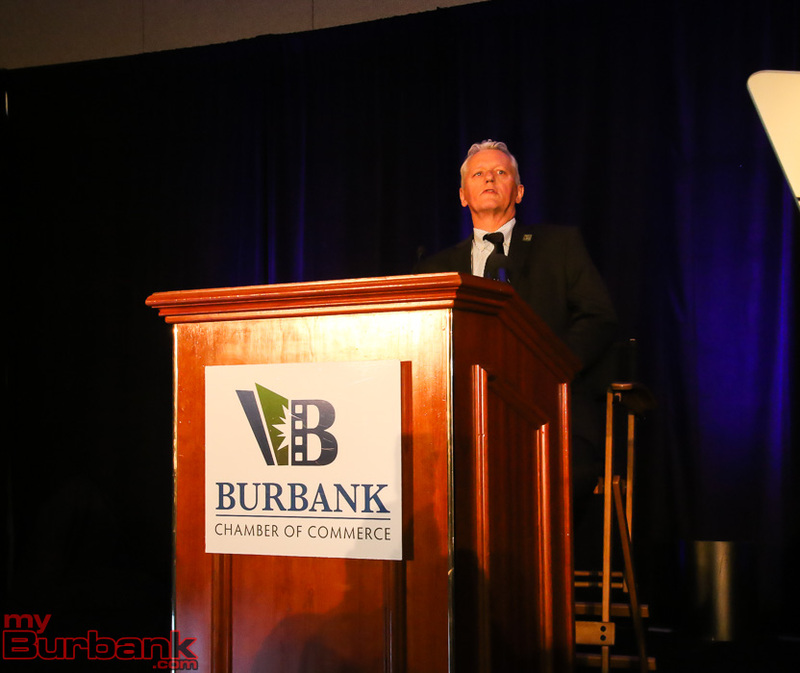 On Wednesday, October 25th, the Burbank Chamber of Commerce hosted the State of the City. City council was present at the event, along with Mayor Will Rogers. The event was the largest of its kind, with over 520 people in attendance. 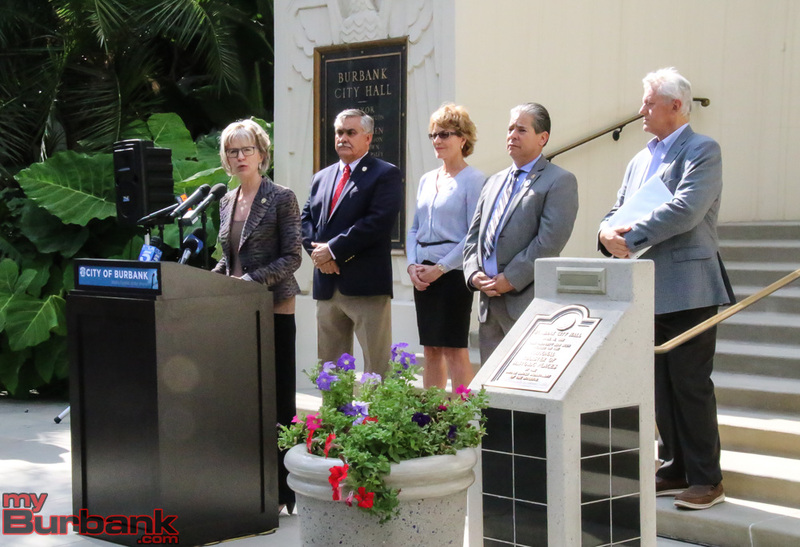 The event discussed Burbank’s accomplishments through the last few decades, with a focus on the accomplishments made within this last year. While speaking, Mayor Will Rogers described Burbank as a “city of dreamers.” Today, Burbank is called home by 12,400 creative businesses, 33,430 creative employees, and 152,600 in the workforce population. Mayor Rogers went on to say that “ultimately, it’s going to be the people making the choice” in regards to how the budget deficit solution will play out. 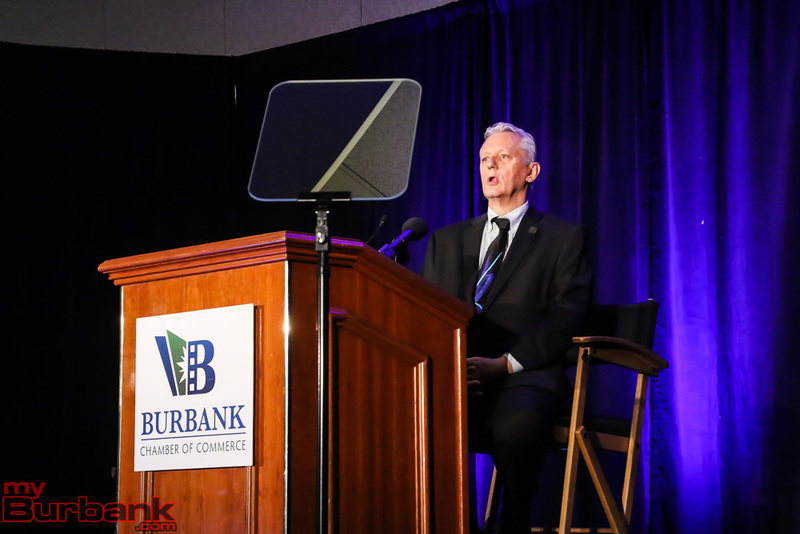 However, Mayor Rogers noted that the people in Burbank will have all of the options available and that the community will pick one or two solutions when the time comes. Mayor Rogers also assured that none of the solutions involve closing parks, youth sports, libraries, or anything that he described as a “dystopic future” during the first budget meeting. Also highlighted at the State of the City address was the approved development projects going on within the city. Starting at the Burbank Town Center, the recent upgrades and continuing construction, which is set to be completed by late 2017, is adding 40,000 sq. ft. of new retail space. In total, the renovation cost $60 million dollars. Next is the Talaria at Burbank. This development is listed as a mixed-use project. This site will play host to a 43,000 sq. ft. Whole Foods and 241 apartment units. Its completion is set for early 2018. The Screenland Drive project is also listed as a mixed-use project with 3,730 sq. ft. retail/restaurant space and 40 apartments. As mentioned previously, the First Street Village is set to have 18,967 sq. ft. of retail space and 275 apartment units. This entry was posted in City of Burbank, Events, News, Politics and tagged Burbank, Burbank City Council, Chamber of Commerce, City of Burbank, State of the City on October 26, 2017 by Jacobo Lopez. 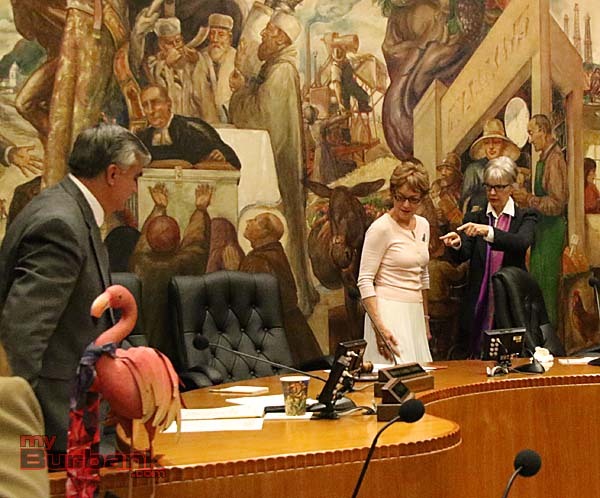 This afternoon, September 20th, a press conference was held at Burbank City Hall by Mayor Will Rogers who announced that he has been diagnosed with stage 4 liver cancer as well as non-alcoholic cirrhosis, and will be minimizing his mayoral duties. Mayor Rogers’ diagnosis will affect his attendance at ribbon cutting ceremonies and meetings throughout the city. 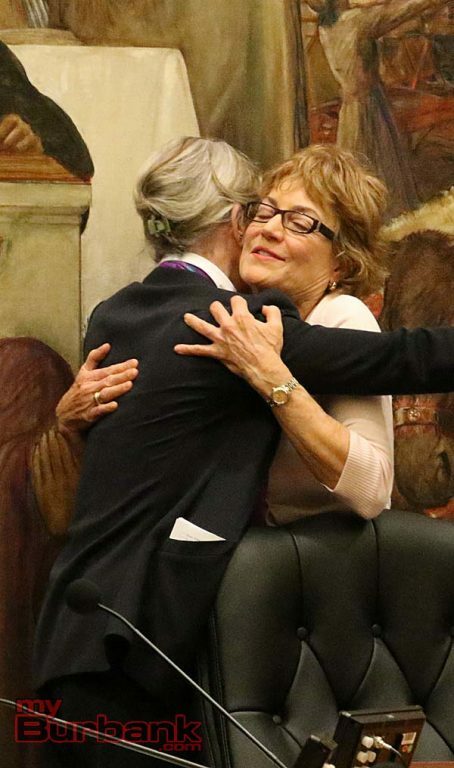 As he seeks medical treatment, Vice-Mayor Emily Gabel-Luddy will be stepping into fulfill some of Mayor Rogers’ responsibilities. Rogers (60) was elected to the Burbank City Council in May 2015 and was appointed mayor in May 2017. His honorary term as mayor is due to end May 2018. Previously misdiagnosed four times with cancer, this was the first test to return as positive for hepatocellular carcinoma (HCC), the most common type of primary liver cancer. Unfortunately, at this stage, he will not be able to receive a liver transplant or chemotherapy, which are standard treatments. Alternatively, he is currently undergoing immunotherapy and drug trials through a cancer research clinic at Cedars-Sinai Medical Center. “Like every one of us here today, I don’t know if I have another week, or another five weeks,” Rogers said. Before joining the Burbank City Council, Rogers was an achieved journalist, writing for the Times Community Newspapers which earned him over 20 first-place awards throughout his career. During the press conference, members of the City Council stood behind Mayor Rogers in support of his decision to take time off. 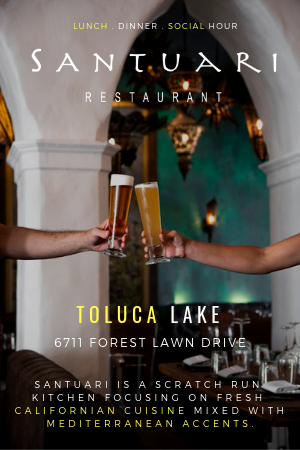 This entry was posted in City of Burbank, News and tagged Burbank, Burbank City Council, liver cancer, Mayor Will Rogers, Vice-Mayor Emily Gabel-Luddy on September 21, 2017 by Timothy Mably.